Description: A. The front and back of this 14K case has some dents that shows that it has been carried. 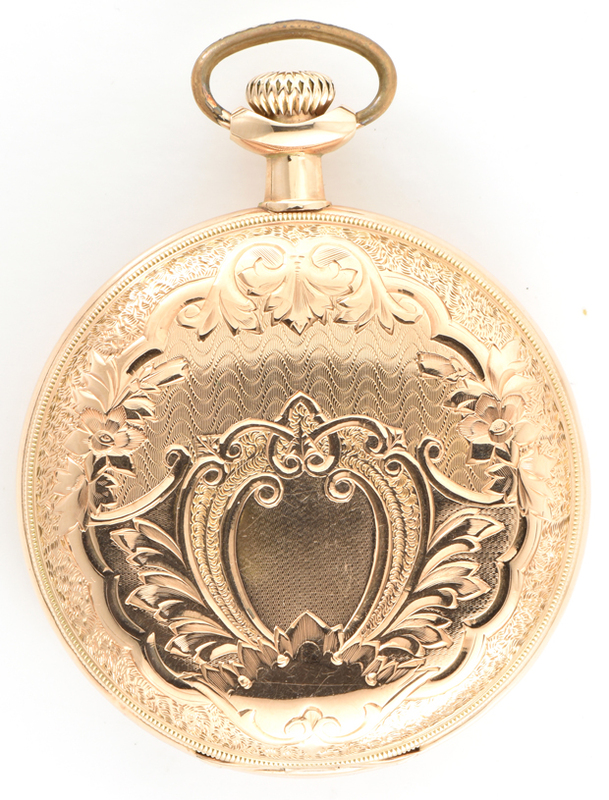 This is a 7 jewel movement that has no brand name on the face, movement or the lids. 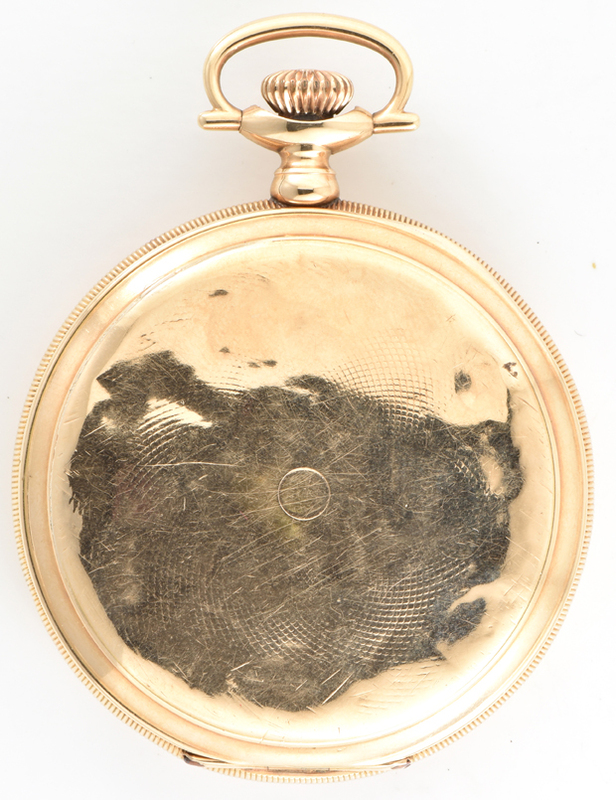 The face shows a hairline crack from the center to about 1 o’clock. The crystal is clean. 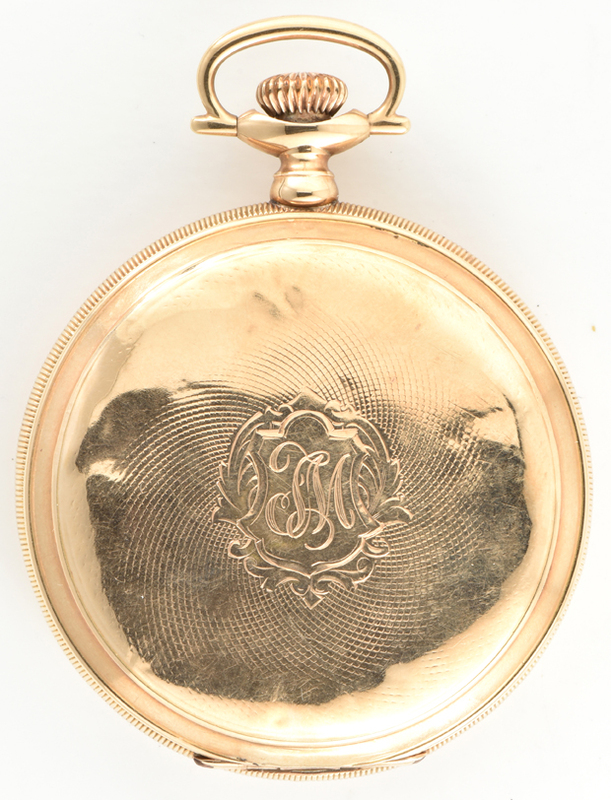 It is hard to read the script, but the front lid looks to have the initials of “LM”. Winds, sets and runs 57.1 dwt. B. 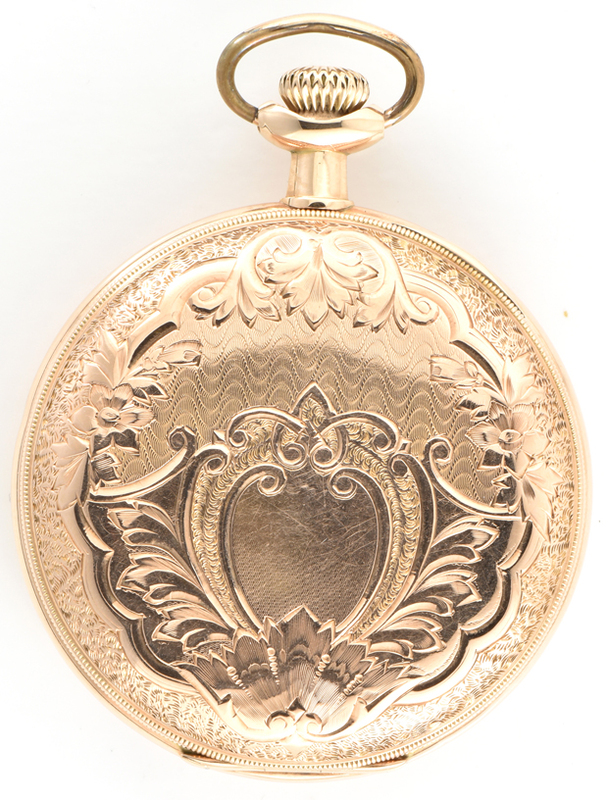 This Waltham watch is truly beautiful with a 14K yellow gold case with a scroll/floral design. Unfortunately, the spring on the front lid doesn’t open properly. 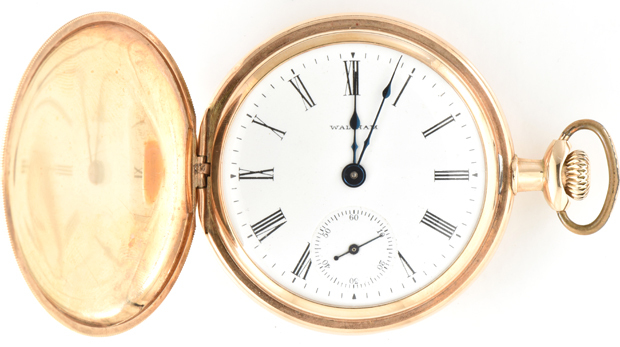 The face is very clean and marked “Waltham”. 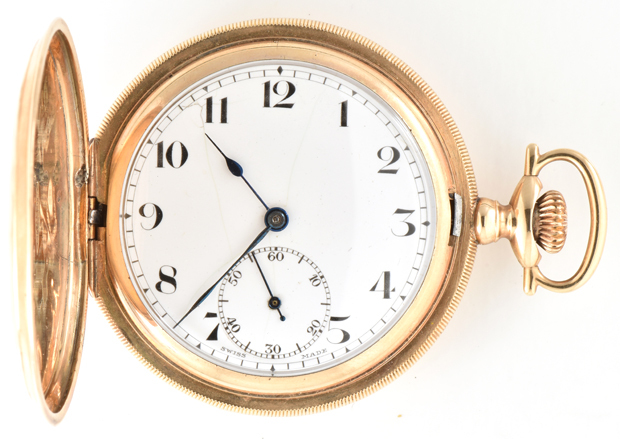 The movement is a 17 jewel marked “A.W.W. Co. Waltham, MASS”. Winds, sets and runs. 63.1 dwt.